Military veterans without a home will soon be receiving reinforcements. A community of 15 tiny homes fabricated by Calgary’s ATCO industries is being eyed for a site in Forest Lawn next year. On Monday, proponents of the mission unveiled two of the first 275 square-foot homes that’ll bear the names of fallen Canadian soldiers. “Our tiny homes will provide our homeless veterans with a sense of privacy, a sense of community,” said ATCO CEO Nancy Southern. Just as importantly, she said, the community will include a shared garden and resource centre providing counselling and other services for the veterans, many of whom suffer from post-traumatic stress disorder. “There’ll be peer-to-peer support to allow them to re-integrate into the community at their own pace,” said Southern. The highly energy efficient dwellings include a Murphy bed, washroom, full kitchen, storage space and mechanical room under a vaulted ceiling that allows considerable natural light. One estimate has the number of homeless vets in Canada at 2,600, but it could be as many as 7,000. 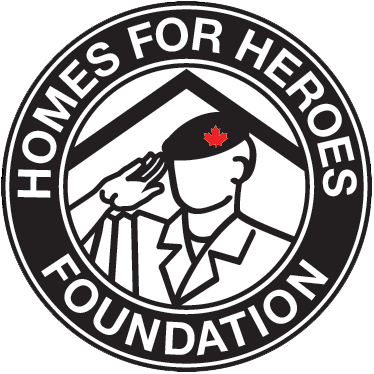 Some of those vets may not be included in homeless counts because they survive by couch surfing, said Dave Howard, co-founder of the Homes for Heroes Foundation that’s spearheading the campaign with ATCO. “Veterans are very proud people; they don’t self-identify,” he said. Planners expect a veteran would want to stay about two years in one of the two communities of the tiny transitional homes. Staff members at the Mustard Seed social agency have been recruited to operate the program’s mental health component. “Those who stood on guard for our country are having a difficult time transitioning right now,” said Howard. The $70,000 homes — fuelled by a $1.5 million gift-in-kind from ATCO — could save local social resources $1.4 million a year by taking people off the streets, he said. He added the campaign is making headway across the country, through the establishment of Homes for Heroes communities elsewhere. “They’ve done an amazing job here, but every municipality has to get on board,” said Howard. The initial Calgary project, to be located at 36 Street and 8 Avenue S.E., goes before city council Nov. 12. Proponents are confident it will get the green light.